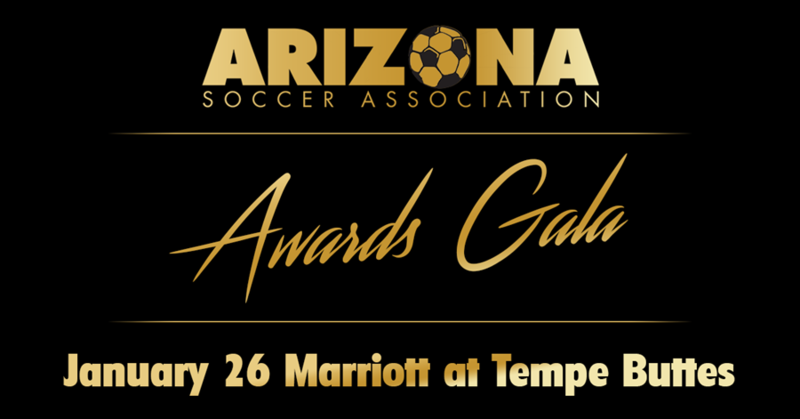 The Arizona Soccer Association (ASA) is seeking award nominations for the 2019 ASA Awards Gala, which will take place at the Marriott at Tempe Buttes on Saturday, January 26th, 2019. This marks the first annual ASA Awards Gala, which honors distinguished individuals who have made great contributors to the Arizona soccer community. All nominations MUST BE SUBMITTED by November 26 at 11:59:59 p.m. To nominate an individual click below.